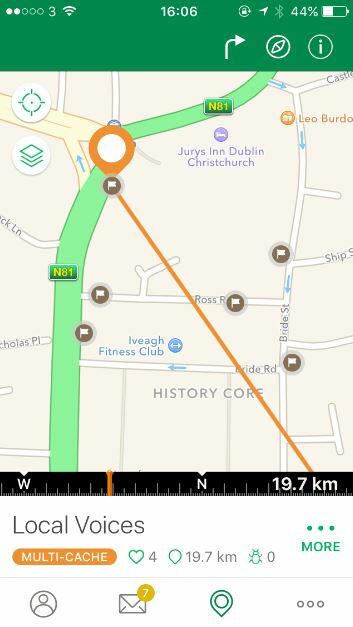 In the first post in ‘So You Want To Be a Geocacher’, I advised that it’s best to stick with traditional caches when you’re going on your first cache hunt. Now that you’ve found a few, it’s time to branch out and discover what other great cache types there are waiting to be found. Multi-caches involve going to two or more waypoints and finding a physical container at the final location. Multis are represented by two orange-coloured containers as their icon. 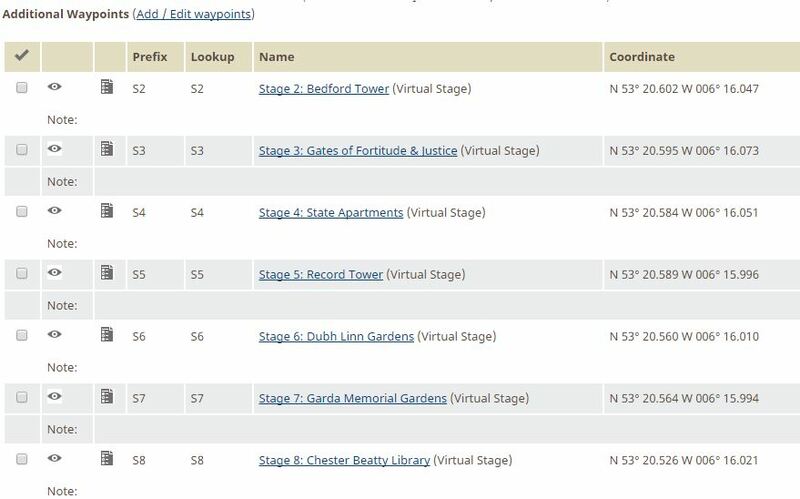 You will be required to either gather information at virtual stages or find containers with subsequent coordinates or information at physical stages, all of which will help you find the final location. 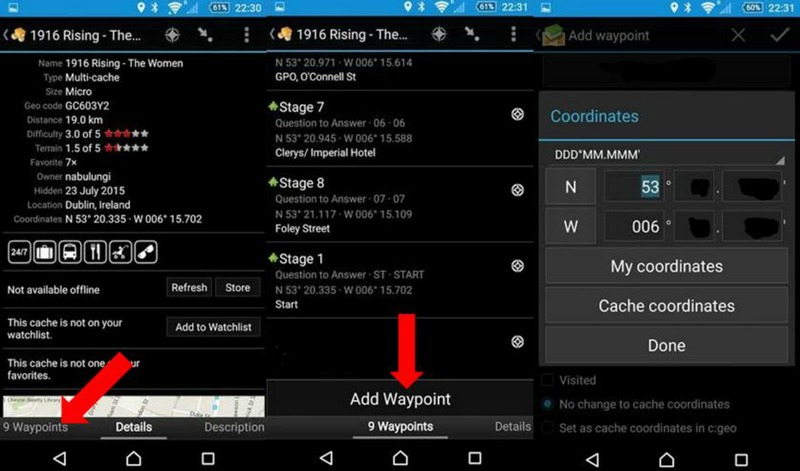 Likewise, on a GPSr, all waypoints will be downloaded when you download the cache to your device so you can just choose the waypoint from the list and navigate to it. 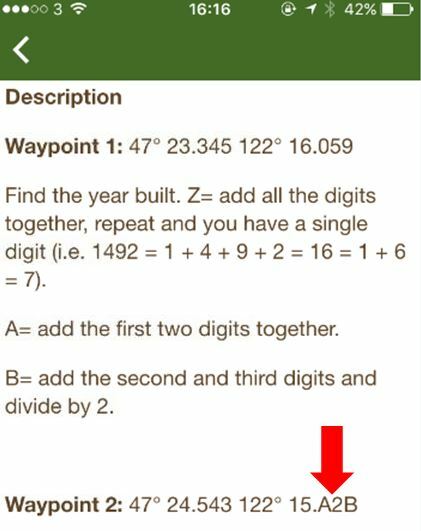 In this case, you’ll need to add a new waypoint and then navigate to it. You will also need to add a waypoint to navigate to the final stage. 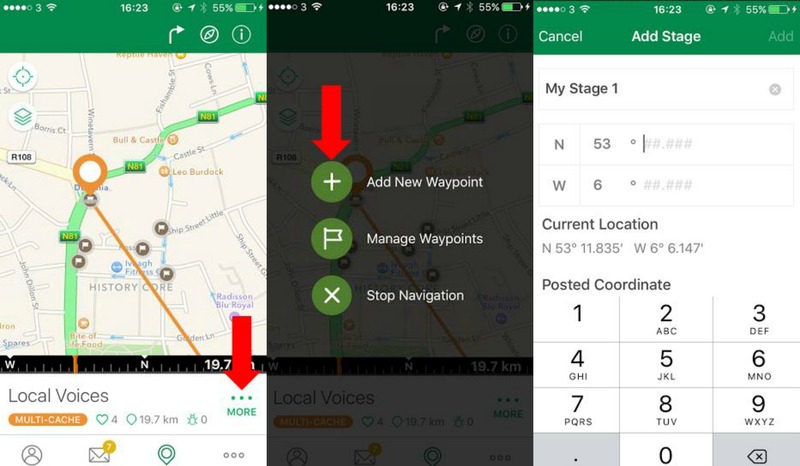 Here’s how to do it on two of the various geocaching apps available for smartphones. Sometimes, the multi-cache only has two stages, so the second stage will be the final. However, some multis can have many stages, such as Bridges & Arches of Central Park in New York, which has 32 stages! When choosing your first multi, try to stick to a lower D/T rating before advancing to more complicated multis with lots of stages. Some of the best caches I have found are multis, and I’m sure you’ll find some great ones too. 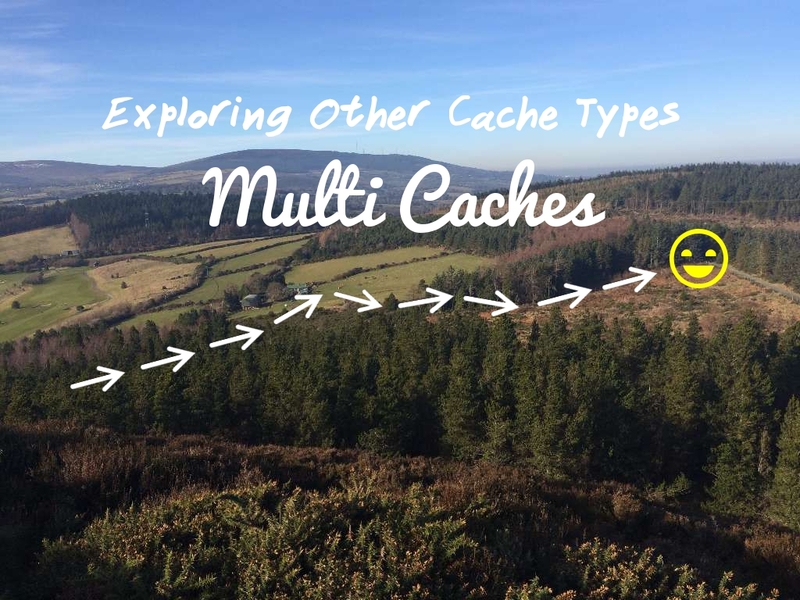 Let me know how you get on with your first multi-cache in the comments!